Madiha is the co-founder of Nazdeeq and is currently working all hours to make this start-up happen. She graduated with an MBA from Thunderbird School of Global Management at Arizona State University on a Fulbright scholarship. The marketing whiz who likes to get her hands dirty by backing trends with consumer research, found a few minutes between frantic meetings and emails to speak to us about Nazdeeq, her Fulbright experience and what it takes to do what you love. How has the Fulbright program contributed to your current success? Fulbright has everything to do with where I am right now! The seeds of inspiration were sown during my MBA program at Thunderbird School of Global Management – particularly during a class on entrepreneurship. We were analyzing different case studies about successful and failed businesses, all that were founded by young entrepreneurs. I realized that I too didn’t need to wait for more professional experience before having my own start-up – the time to do something was now, while I was free from any personal commitments, could take financial hits and just learn on the way. Moreover, Thunderbird was the perfect hub for planning my business; the campus provided all the resources: professors, literature, and students with diverse professional backgrounds. I was exposed to 70 different cultures and networks. I began filtering out different business models that we had been learning about and started researching on the ones that could potentially work on Pakistan. I am proud to say that Nazdeeq is the by-product of all the recommendations, insights and knowledge shared by different professors and students at Thunderbird. In fact, I even found my co-founder during this process. Nazdeeq is currently in Beta and will officially launch by mid-January. What inspired you to start Nazdeeq? What are doing differently that other online retailers in Pakistan are not doing? Initially, I brainstormed 10 ideas and slowly brought it down to two to three, after discussing it with my classmates and doing secondary research. I finally shortlisted the one that was closest to my heart, and will be the most difficult to achieve. The idea is to unlock global e-commerce by being the middleman for brands that don’t sell in different countries. 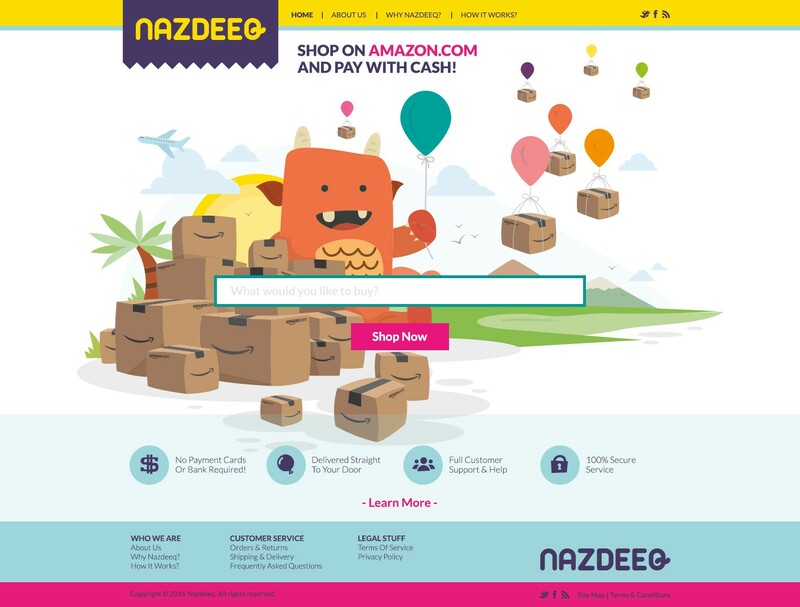 Thunderbird’s mantra, ‘borders frequented by trade seldom need soldiers,’ struck a chord in me and is now the inspiration behind, Nazdeeq: a platform which will give customers in Pakistan the access to shop global brands that are not available in the country. Our first product is Amazon.com and we will gradually add more brands. 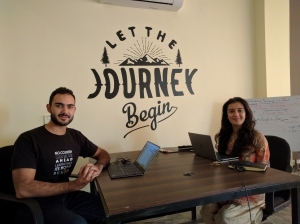 Nazdeeq’s mission is to bring more authenticity and variety in the market; I want my company to do business a little differently than others in Pakistan by being more transparent with the customer and giving a friendlier customer service. Your favorite memory while in the U.S.? Madiha posing with friends at Bryce Canyon, Utah. One of my favorite memories in the U.S. was visiting different states and parks! I was very lucky to be placed in Arizona, close to Grand Canyon. 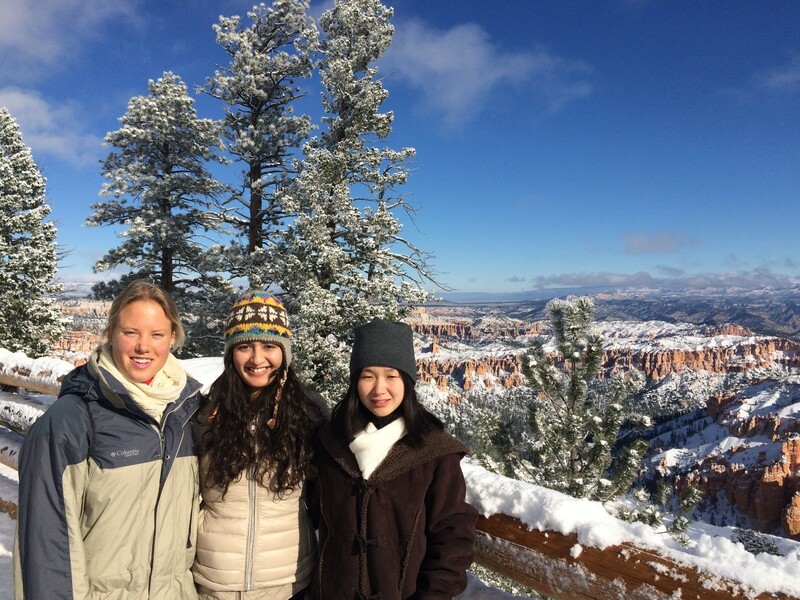 I got to see some of the most beautiful desert landscapes, particularly Bryce Canyon. 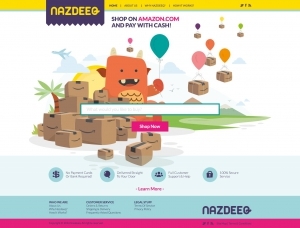 Visit www.nazdeeq.com to stay abreast with its launch which is scheduled for mid-January. For information on the Fulbright degree program, visit our website. Previous PostSpring 2017 UGRAD Grantees Prep for U.S. SemesterNext Post *WE* Are Agents of Change!